The Celebration of Justice is CAA’s largest annual fundraiser and brings together over 500 community leaders, activists, corporate supporters, elected officials and organizational partners for a night of celebration and renewal of our commitment to social justice. Our fiftieth year is a very special milestone. For five decades CAA has led civil rights advocacy, provided much-needed community services, and organized multi-racial coalitions that today are more important than ever. In the current climate of xenophobia and racism, all of our communities are under attack and CAA is being called upon to bring the movement forward. This year’s gala is special for another reason: it is also the 5th Anniversary of Asian Americans for Civil Rights and Equality (AACRE), a network of 11 organizations including CAA that is focused on long-term movement building, capacity infrastructure, and leadership support for Asian American and Pacific Islanders dedicated to social justice. We are celebrating the 5th Anniversary of AACRE with an after-party starting at 9 pm. 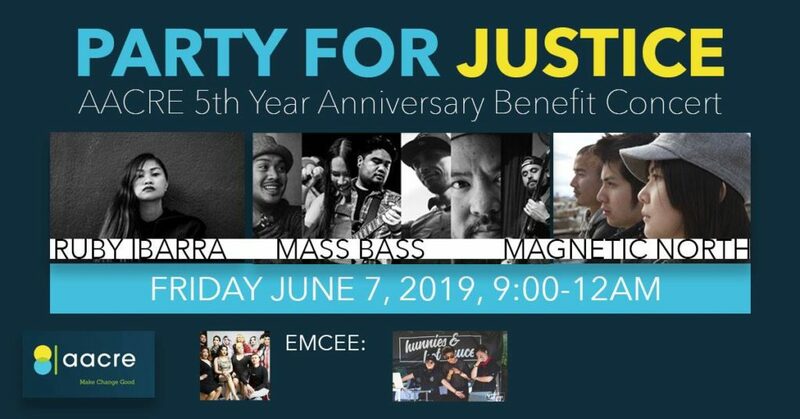 Guests attending the Celebration of Justice are welcome to join AACRE’s after party celebration, Party For Justice: AACRE 5th Year Anniversary Benefit or you can purchase separate tickets for the AACRE after-party. The Westin St. Francis San Francisco on Union Square is accessible by public transit. The nearest BART is the Powell Street station. The nearest MUNI stop is #38. You can plan your trip using 511 SF Bay. The Westin St Francis only offers Valet Parking. Valet parking at the St. Francis is available for $65. Otherwise, there are several nearby parking garages, and there is free street parking starting at 6 pm. There are several “self-parking” parking facilities within 1 to 4 blocks of the hotel. Street parking is also free after 6 pm. For their vision in founding CAA, leadership in many of CAA’s civil rights battles, and far-reaching impact in many diverse communities. For their pioneering social justice movement building and work bringing forth new leaders in the Asian American and Pacific Islander community. Richard Lui has spent more than 25 years in business and communications. Currently, he is a journalist and news anchor for MSNBC and NBC News. 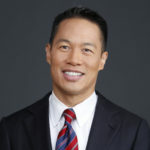 Before that, at CNN Worldwide he became the first Asian American male to anchor a daily, national cable news show in the U.S. His reporting has focused on politics and he has covered every national election since 2004. Lui contributes as a columnist for USA Today, Politico, Huffington Post, and others. Lui’s community work spans 30 years and six continents. He is part of the White House leaders forum, a Policy Fellow at the University of California, Riverside, UN Spokesperson, U.S. State Department Traveling Speaker, and ambassador for NGOs like Plan International (working to end gender inequality) and anti-human trafficking NGO Not For Sale. He’s received civil rights awards from national organizations including the National Education Association, AAAJ, AAJA, WWAAC, and OCA. Jan Yanehiro co-hosted Evening Magazine, a nightly television program in San Francisco that ran for 15 years on KPIX TV-CBS5. Currently, she is the Founding Director of the School of Communications and Media Technologies at the Academy of Art University in San Francisco. She has hosted 6 documentaries on the US Government internment of 110,000 Japanese Americans during World War II. Yanehiro has won multiple awards including an Emmy, the Eleanor Roosevelt Humanitarian Award and the Girl Scout’s Woman of Distinction. 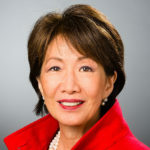 She is Board Chair of The Representation Project and holds seats on Kristi Yamaguchi’s Always Dream Foundation and the US-Japan Council. Early bird tickets purchased on or before April 15, 2019 are $300 each and include entry to the reception, dinner, program, and after-party. After April 15, tickets are $350 each. CAA uses the GiveDirect donation system because of lower service fees, which means more of your donation goes to supporting our work. If you would like to purchase your tickets using a method other than GiveDirect, please call 415-274-6750 or contact us at CoJ50@caasf.org. No tickets will be mailed; your reservation will be held at the door. Please consider becoming an event sponsor in this milestone year, and know that you are supporting an organization that will continue to make lasting positive change. To become a sponsor and bring visibility to your organization while supporting CAA, learn more on our Sponsorship Page. Chinese for Affirmative Action is a 501(c)(3) nonprofit organization. Our tax ID number is 94-2161304. The per person value above $105 is tax-deductible to the extent permitted by law. For more information about the Celebration of Justice, please contact at (415 ) 274-6750 or CoJ50@caasf.org. We require any transfer requests in writing by the person whose name is on the original registration/ticket. Please email CoJ50@caasf.org as soon as you are aware of the requested change. To guarantee your entry, the registration name should match the person who attends. We will honor refunds up until May 18, 2019. We will not provide refunds after that date. To request a refund, please email CoJ50@caasf.org.